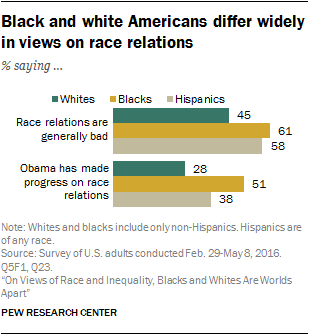 A new Pew Research Center survey finds profound differences between black and white Americans in how they view the current state of race relations and racial equality and in the ways they experience day-to-day life. 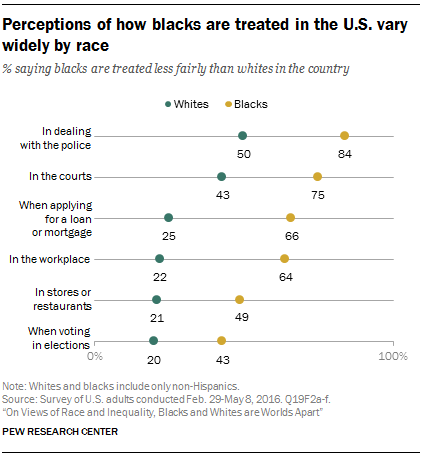 About four-in-ten blacks (43%) are doubtful that the country will ever make the changes needed for blacks to have equal rights with whites. 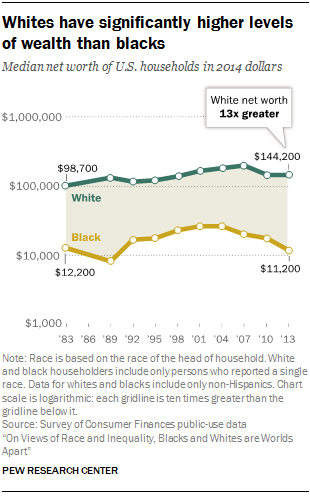 Just 11% of whites and 17% of Hispanics share this view.